YUM. I want to eat everything!!! ...Except your mac and cheese. Ouch. Okay, maybe that was a little harsh. It's actually a better mac and cheese than many places I've tried, and his El Paseo attempt was actually in my top ten for quite a while. Super perfect, rich, creamy texture. He's really starting to beat Homeroom in this category so watch out, Oakland! Great, light, crispy topping. It could have a little more going for it, but it's pretty good as is. Portion size is just right. Not too little, but you could definitely eat it as a lunch or dinner and be more than satisfied. The biggest critique I have about both El Paseo and Wayfare Tavern's mac and cheese attempts is that there isn't a lot of flavor. I taste pretty much one flavor in the sauce and it's not even a cheese with a kick. According to the menu, it's Vella Dry Jack. Throw in some Gouda... or Gruyere even. Just add some more complexity. All that said, it's still a strong contender and I still highly recommend it if you go to either restaurant. 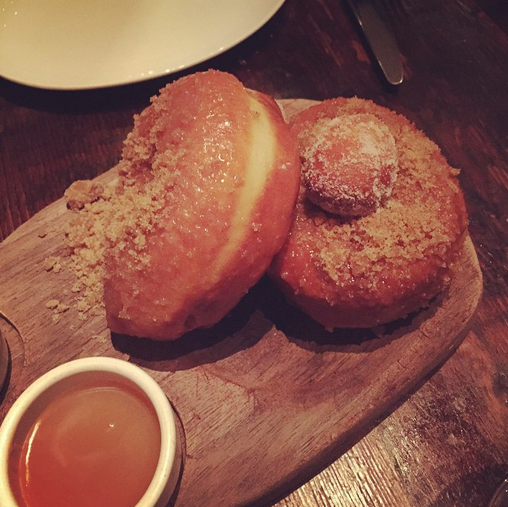 But if you are looking for something REALLY amazing at Wayfare Tavern, may I recommend the housemade doughnut dessert with dipping sauces? That thing was DELICIOUS. I had already stuffed myself so full of amazing fried chicken, wild mushrooms, and mac and cheese that I barely had room for this little piece of heaven. Somehow I managed to eat half of it before nearly passing out. The server asked if I wanted to take the other half home and I'm still kicking myself for not doing so. 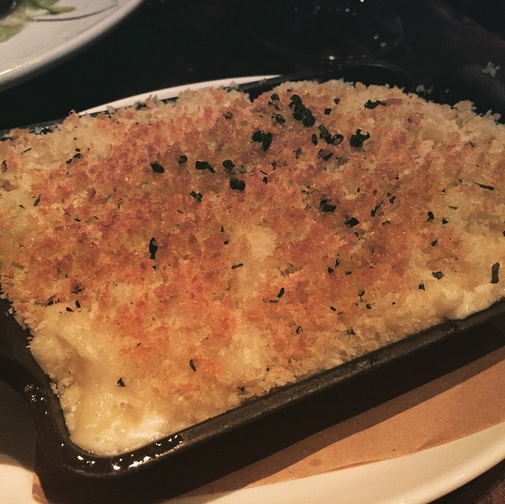 Anyway, I know a lot of folks who swear by Wayfare Tavern's mac and cheese, so feel free to make your stand here in the comments if you wish. I'd really like to see Tyler Florence up his mac and cheese game in the future though. Who Doesn't Love An Infographic?